Summer is here to stay with our newest Beauty Collagen offering: a nourishing elixir for glowing skin and inner beauty, made with Collagen Peptides, hyaluronic acid, probiotics, organic pineapple juice powder, organic orange juice powder, organic cranberry powder, and organic ginger. Hyaluronic Acid and Probiotics for hydrated skin and good gut health. Great for Hair, Skin, and Nails. 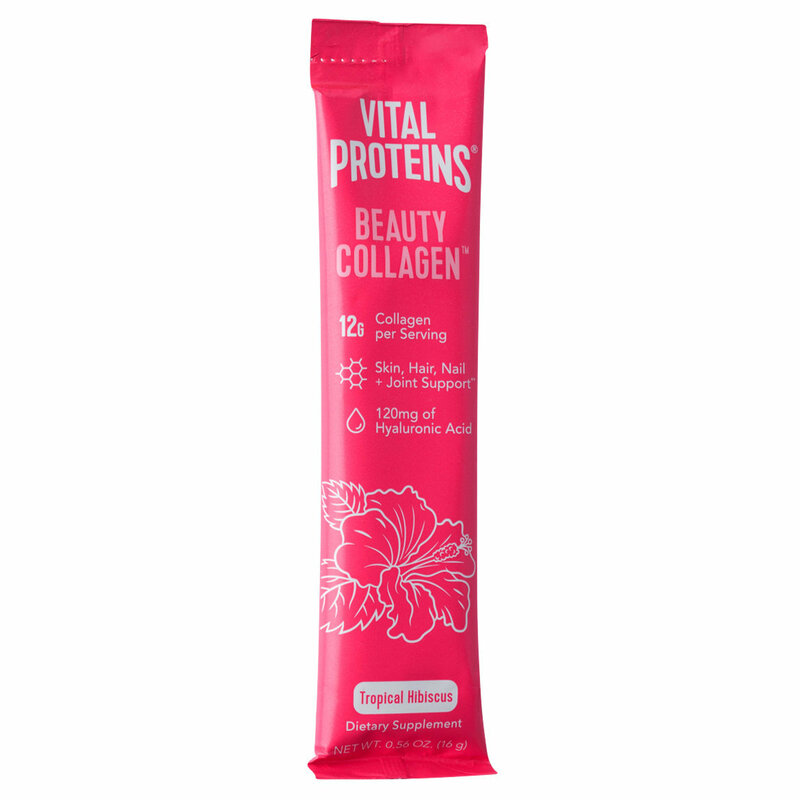 Vital Proteins’ Beauty Collagen is easily digested and soluble in cold or hot liquids. Adding a scoop or two to food or beverages gives you the vitamin boost you need to support healthy hair, skin, nails, bone and joint health, digestion, muscle recovery, and more. Use collagen for a variety of recipes: Stir into water - this naturally flavored beauty water is great on its own! Add to juice, smoothies or other beverages. * Mix into yogurt, oatmeal, desserts and more. 120 mg Hyaluronic Acid - promotes collagen production and skin hydration. 12 g Collagen Peptides - great for hair, skin & nails. 2B CFU Bacillus Coagulans - supports protein absorption into the body.